China has been in a stage when industrialization and urbanization are developing in a speedy pace. The pressure of environmental protection inspection has been increased constantly, as the environment worsening hasn’t been relieved from the root. “Rigorous law enforcement” has been a new normal in 2017 and the environmental protection inspection tends to be normalized, in the process of advancing the rule of law and the New Environmental Protection Law. The operating rate of teflon units ramped down, pressured by the environmental protection inspection. Meanwhile, downstream enterprises of by-product hydrochloric acid are influenced deeply as well, whose plants are compelled to reduce production or even shut down. In particular, the teflon enterprises which produced hydrochloric acid in a large amount are shocked mostly. The stock oversupply of hydrochloric acid has also become the biggest obstacle in the teflon industry in 2017. The teflon price once soared by 45.45% in H1, 2017 against the background of supply-side structural reform. 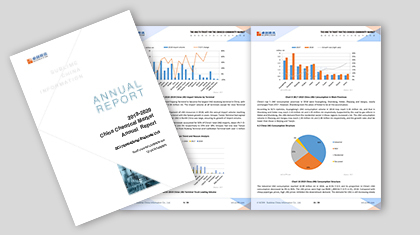 2017–2018 China Fluorine Polymer Market Annual Report will make an in-depth analysis from the industry status, industry development constraints and future development direction for you with accurate and detailed data, overall product interpretation and qualitative & quantitative methods. (1) Analyzing the main products of fluorine polymer, such as PTFE, FEP, PVDF and fluororubber to make sure that you could master the overall changing of the fluorine polymer markets. (2) Presenting the changing of fluorine polymer’s supply & demand patterns clearly with qualitative and quantitative analysis. (3) Showing the import & export status of primary-shape teflon by origin & destination, trade mode and customs. And the enterprises will be ranked, according to the total import & export volume respectively to ensure your distinct grasp of the import and export status. (4) Forecasting the price trend and development in 2018, from the perspective of various driving factors.